FPC SECURITY, THE COOL WAY TO SHOP FOR SECURITY! 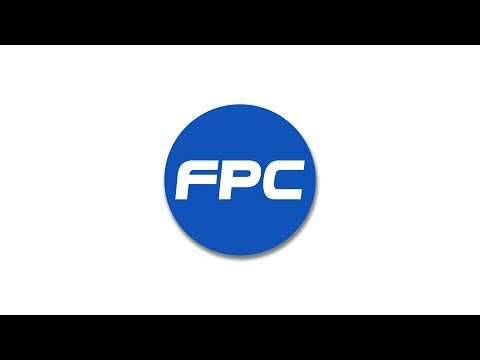 MIAMI, FL, October 22, 2018 /24-7PressRelease/ -- FPC Security, a leading producer, and distributor of high-quality systems for access control, security cameras, maglock door entry system, IP Video Intercom Kits, is launching (3) three new products designed to assist businesses in securing their premises and ensuring the safety of their customers and employees. These new products will continue FPC Security's goal of providing companies of any size with the best, most effective and cost-efficient safety and security solutions, whether those businesses need to control access to an entire building or just one door. "In this day and age, safety and security are at the forefront of any business owner's mind," said Michael Gomez, FPC Security's manager. "We are pleased to be able to offer these (3) three new products, which are designed to enable business owners to control access in and out of their facilities." All three new products will be available at the end of October on the FPC Security website, www.fpc-security.com, or by calling 1-888-504-3318. Every product comes with a warranty and access to FPC Security's extensive tech support library of documents and installation videos. Added Gomez, "At FPC Security, we work closely with our customers to design the best access systems for their premises. Our team also advises customers on the best electronic maglocks for maximum protection, and we offer a 60 day, no questions, no risk return policy." For more information, contact Ivan Arias, Digital Marketing Analyst, at digitalmarketing@full-protection.com or 1-888-504-3318. FPC Security is the cool way to shop for security! Access Control System solutions for your home and business.